Hi I found this through googling "deviantart + namecheap", and thought why not put my hand up even though it was a while ago now. 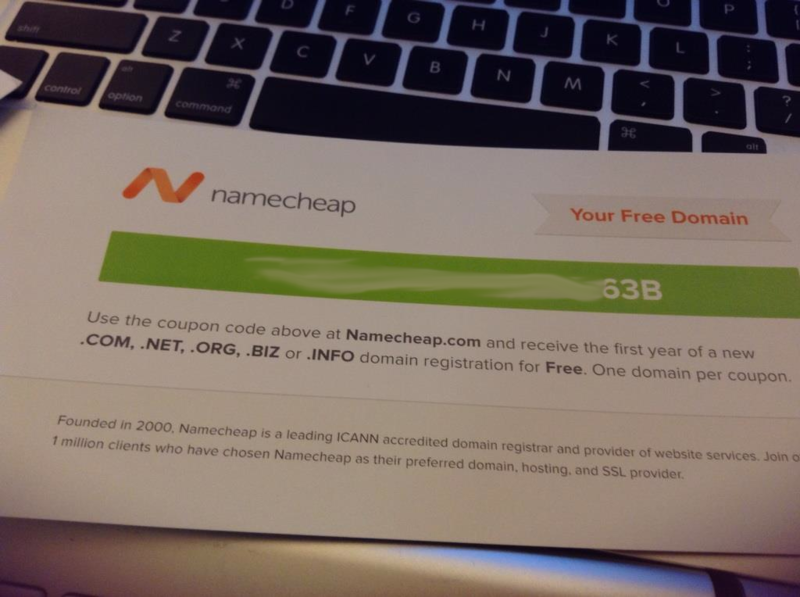 I've heard namecheap seem to have a good reputation.. I do have a domain name for 1 yr but I just found I can't use it on another site without also buying hosting which I can't afford right now. Hi... Thanks for your generosity.. So, first year is free? And after that? Or rather, what happens? The first year is free and after that you will need to pay for it or cancel your account. Great! I am checking their prices, not too bad. If my site were to make money, then it would definitely benefit me to get another year. A Guide to Art ProgramsHey~! It's Goth-Kath here with another Tuesday Tip~! Last time I talked to you guys about Pricing your Art. This time I’m going to talk about a subject that will speak to less people, but I hope it will still be useful to some. I have seen enough people who want to start Digital and don't know which program to get. I've also seen enough artists who do not like the program they have or want a change of pace but do not know any other programs to get, or at least none that won’t cost them a kidney (I’m looking at you Adobe ):< ). So today I’m going to list a bunch of programs you can use to create Digital art, with some correct information, pros/cons, and my personal experience. So, let’s get to it~! Modern Writer's Toolbox VWelcome to the modern writer's tools project, designed to bring you the ultimate secret tools of writing that are scattered throughout the web! Disclaimer: The following apps will not do your editing work for you, you still have to do it yourselves, but these apps will make it easier to spot mistakes and fix them. Whether to take an app's advice is completely up to the writer. Grammarly scores high in accuracy. Offers great feedback to help you learn grammar rules. A Guide to Picarto and XsplitSo someone asked me how I got Xsplit to work with Picarto, and that reminded me of the very tough time I had trying to find the answer to my own questions about how to get the two to work together. SO! In light of that, here's a handy-dandy short guide for streamers. First of all, some background. For those who don't know, Xsplit Broadcaster is exclusively a PC program that will allow you to stream multiple kinds of media (screen capture, video, webcam, skype video, games, etc etc) to a broadcasting site of your choice. It's high definition (at the least it will stream 1280x720 HDTV 16:9 for free users and 1920x1080 HDTV 16:9 for subscription users) and generally, I've found, a useful tool that doesn't require you to do too much to get everything set up for streams every time you start one. It's a great tool, it's free and you should check it out if you want to find out more infromation. How to Tween Animations on PhotoshopHello. Iingo here. Photoshop is a great program to draw on, edit photos, manipulate images, and gives you many options for effects. But, did you know you can animate on Photoshop and create tween animations on there? No? Well, I teach you how to animate and tween on Photoshop. This is a great tool to use when you want to practice animating people, scenes, and simple circles and shapes like Adobe Flash. On Photoshop CS3-CS5, the option to open the Animation tool use to be called Animation, but in CS6-CC, they call it Timeline. To find the option, go to Window>Timeline. It's in alphabetical order so "Animation" would appear on the top for CS3-CS5 users. Once you click, "Animation/Timeline", this should appear under your Photoshop Screen. Digital Artist: A Complete Beginners GuideSo you want to become a digital artist? Whether you have a good grasp on traditional drawing techniques or are you have zero skill and want to jump straight into digital painting, the purpose of this guide is to de-mystify digital art for you to make it as easy as possible to start. In this guide I do my best to be unbiased, while I do clearly state my opinion of things I dislike, I also do my best to state their best merits and acknowledge the good things about them regardless.